Photographer's notes written on negative: Div. 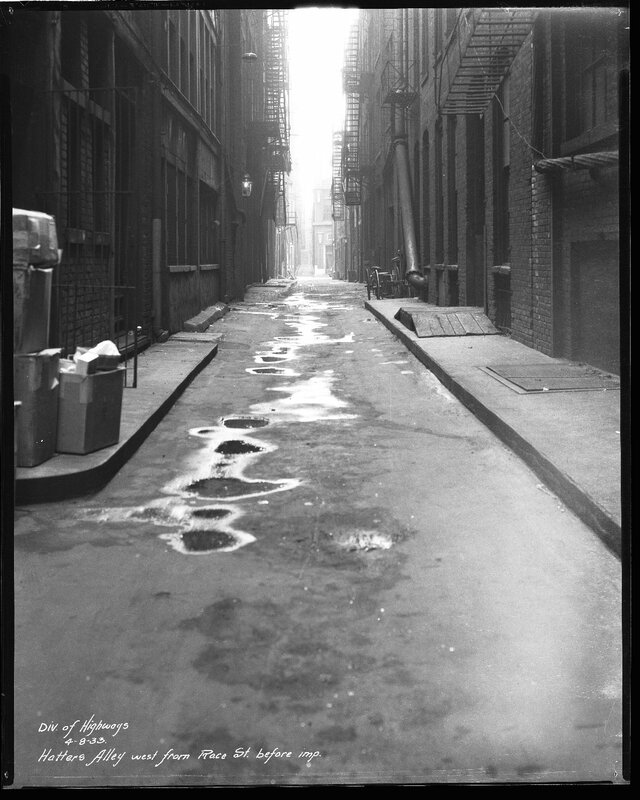 of Highways / 4-8-33 / Hatters Alley west from Race St. before imp. Location coordinates are approximate. Hatter's Alley no longer exists. The 1929-30 Williams' Cincinnati Directory, page 2098, lists Hatter's Alley as having been located north of Fifth Street, extending from Walnut Street to Central Avenue.